The cloud-based curriculum includes features like a writing coach. Amazon's been ramping up its efforts in the education space since 2013, when it acquired TenMarks. The ed-tech startup helps teachers and parents create easy-to-digest curriculums for young students, which up until today were all about math. But now, Amazon is introducing TenMarks Writing, a cloud-based program designed to help 4th-6th grade kids become better writers. For students, there are features like Writing Coach, which guides them through the entire process of putting together a story, from the pre-write phase to editing in real-time with their teacher. 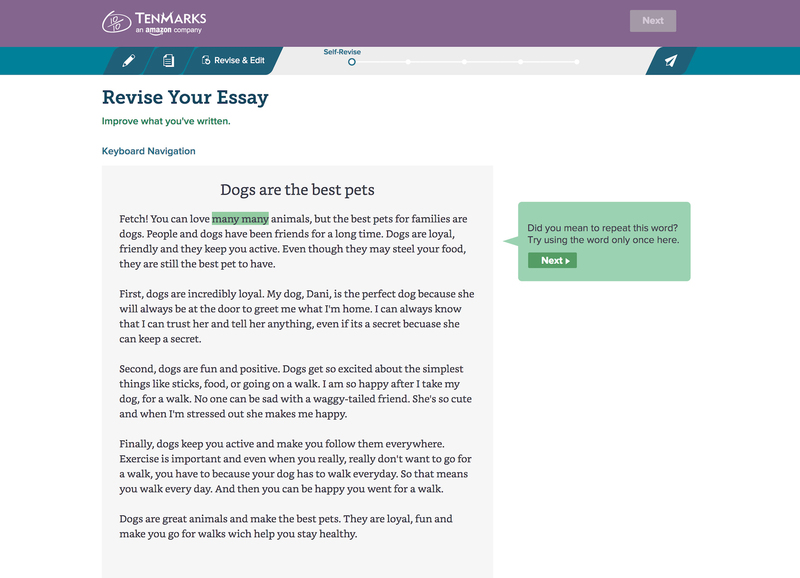 Meanwhile, educators can use the Teacher View to leave comments or suggestions on essays or another type of story a student may be writing. Amazon says the key is to make curriculums fun and engaging, which is why kids are able to pick exactly how they'd like to write an idea using Bursts. With Text Message, for example, they can have pretend like two fictional characters are having a conversation. Again, this is about making students feel comfortable before they even begin the writing process. Schools can get TenMarks Writing starting today for $4 per student every year. As mentioned earlier, the program is intended for kids between 4th and 6th grade, though Amazon says the program will also have tools for 7th and 8th graders "soon."